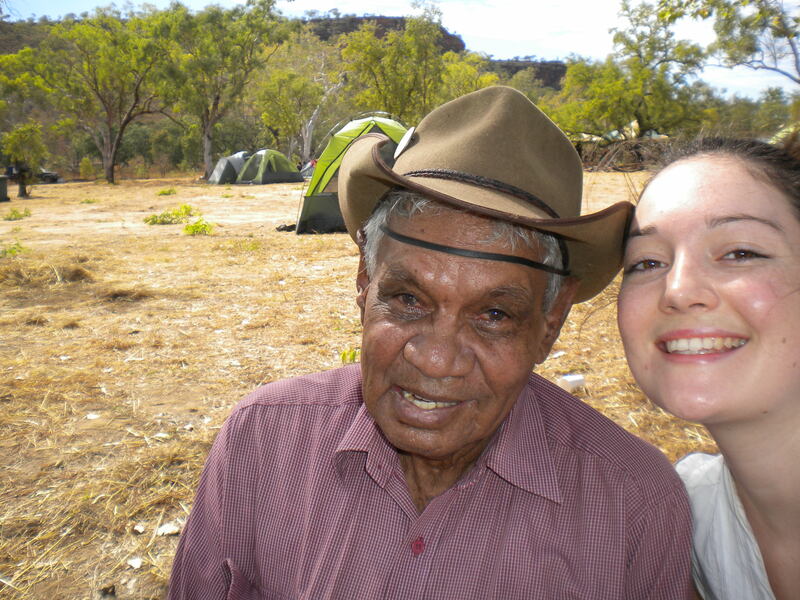 Australia’s Northern Territory offers visitors amazing cultural experiences with an opportunity for you to spend time with Aboriginal people to experience their culture. 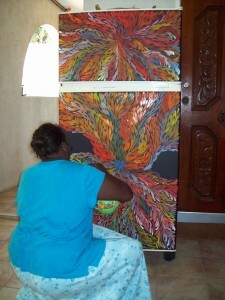 Visitors to the Top End can view the panorama of Aboriginal art. 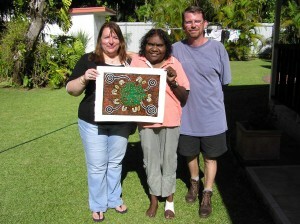 SARAH NELSON MBITJANA is a member of the Anmatjerre tribe of Central Australia. 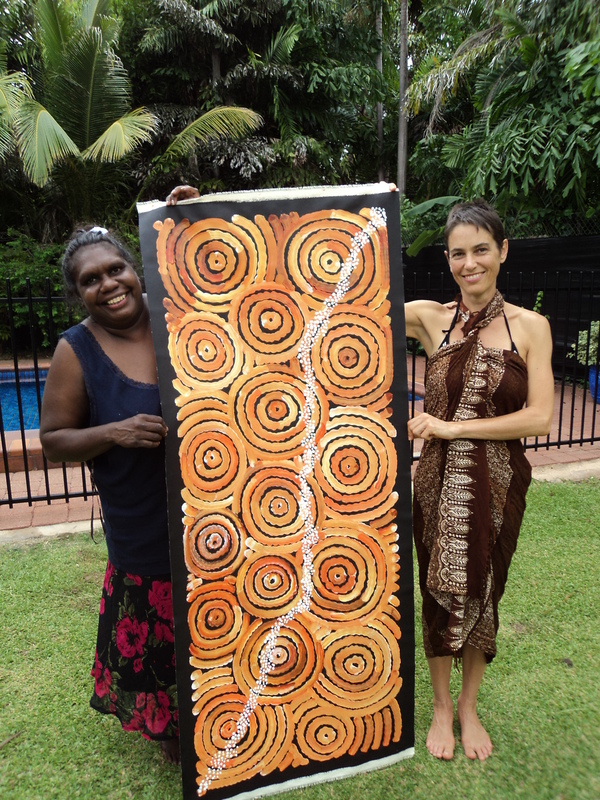 Sarah has been painting since she was very young, having been taught by her mother and grandmother; she knows the Dreamtime stories. The stories that Sarah paints come from both sides of her family and she explores different ways to convey her stories using many styles. Sarah’s success has led to many art exhibitions, including a successful exhibition in France in 1991. 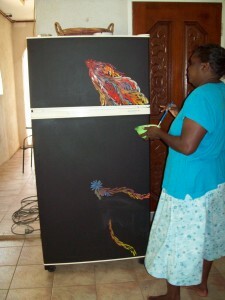 SONDA TURNER NAMPIJINPA was born in 1956 in the Tanami Desert and she now lives in Darwin. Collections of her work are held in the National Gallery in Canberra, Art Gallery of Western Australia and Auckland City Art Gallery; also by the Holmes a Court Collection and the Donald Kahn Collection in USA. LOUISE NUMINA NAPANANGKA was born in 1976 in the Utopia region in the Eastern Central Desert of the Northern Territory in Central Australia. Louise’s works have been exhibited in major galleries in Sydney and Darwin although her paintings have been bought and sold for collections around the world. In her paintings Louise shows us the Bush Medicine Dreaming. The Bush Medicine Plant is an Australian native that grows wild in Central Australia. Women collect leaves from these plants; the leaves are boiled to extract resin. Kangaroo fat is mixed into the resin, creating a paste that can be stored for a long time in bush conditions. This medicine is used to heal cuts, wounds, bites and rashes. 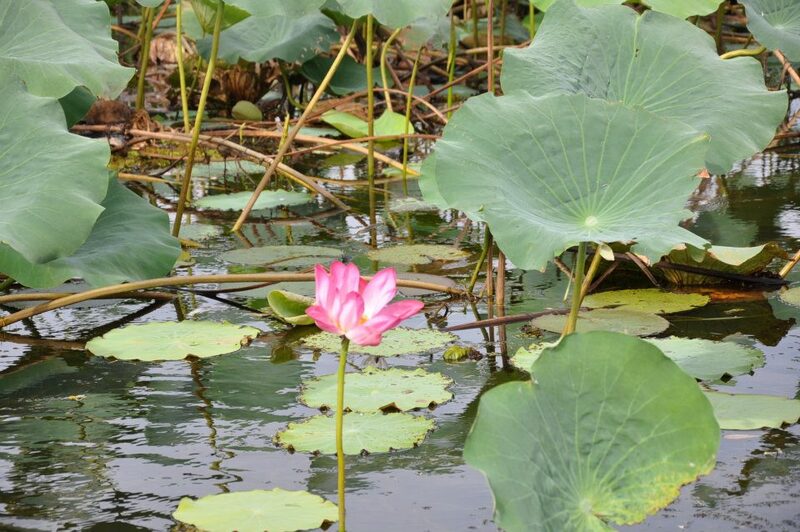 It is also used to treat the flu, headache, backache, upset stomach, chest pains or as an insect repellent. 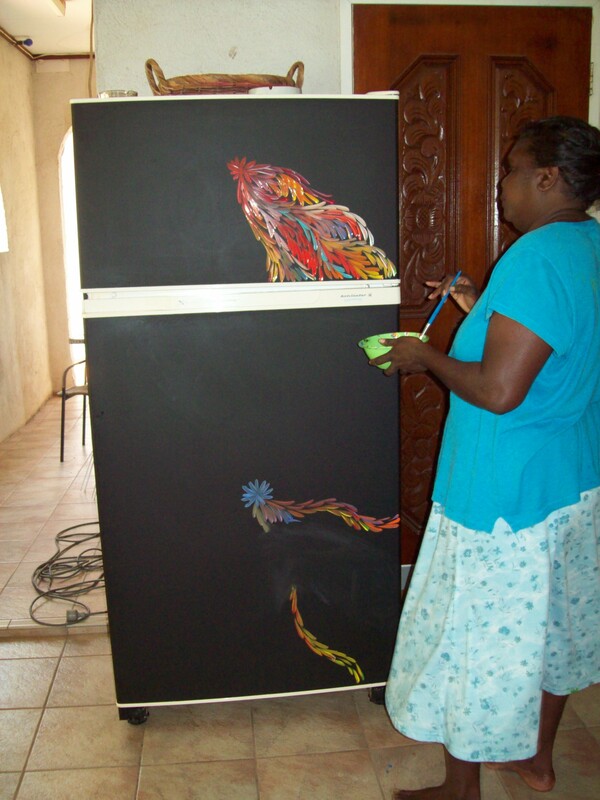 By painting about “Bush Medicine” Louise is paying homage to the spirit of the medicine plant in the hope that it will regenerate, enabling the people to continue to benefit from its healing properties. Many thanks for your great kindness to us in Darwin. Thank you, Roger, for collecting us from the Wharf, and many thanks indeed, Janette, for upgrading us to the apartment. 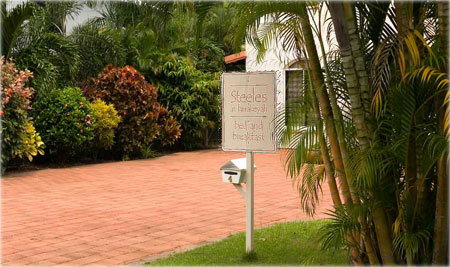 Lovely place, good location and very comfortable. It made a great finish to us Top End tour. Your recommendations were followed to the letter, Janette. Walked to the Botanical gardens, had lunch at the museum café before viewing the displays, then walked to the Mindil beach markets. Let us know if you ever come to the UK as it would be lovely to see you again.